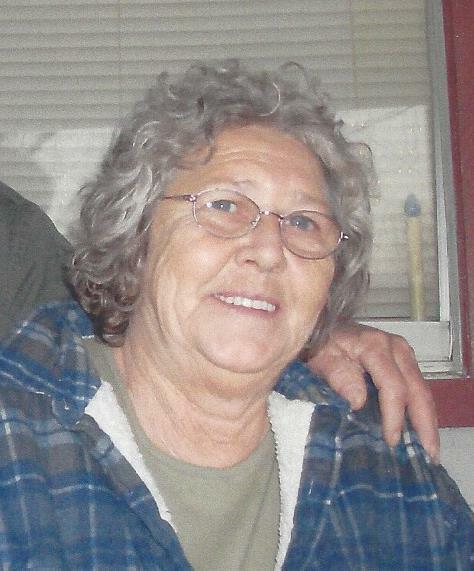 JOAN WORKMAN FERGUSON, 75, of Wayne, W.Va., went to her heavenly home on Saturday, January 12, 2019. She was born June 24, 1943, a beloved daughter of the late Ruth Workman Young. Also preceding her in death was one son Ronnie Ferguson, and one brother Robert Young. Joan was a devoted wife and mother, and a member of the Wayne Church of God. Survivors include her loving husband of 55 years, Homer L. Ferguson; her beloved children Jimmie (Teresa) Ferguson, Connie (Shawn) Slone, Don (Tina) Ferguson, Felicia (Chris) Vance all of Wayne, and Randy (Debbie) Ferguson of Cabot, AR. ; her grandchildren Jacob, Carly and Trenton Ferguson, Ashley (Wes) Hay, Michelle (Daniel) Steele, Nikki Spry, Eric Maynard, Stephanie (Will) Ellis, Matthew Ferguson, Courtney and Carly Vance, Josh Ferguson, James, Justin, and Jarod Ferguson; and great grandchildren Kelton Hay, Kaden, Aubrey and Chloe Steele, Sophie Nicely, Bella Ellis, J.T. and Isabella Ferguson, all of whom she cherished. Also surviving are two sisters Roberta (Rod) Mills of Huntington, W.Va., and Lorretta Elliot of Lakewood, Oh. ; one brother Bud Young of Genoa, W.Va.; and a host of family and friends. The family would like to thank special friend Dora Theirry for her help and care, as well as the loving staff of the Emogene Dolin Jones of Hospice House. Funeral services will be held at noon on Thursday, January 17, 2019, at Johnson Tiller Funeral Home with Bishop Toney Cox officiating. Burial will follow at the Arrowood Dutton Cemetery. Friends may call after 10 a.m. Thursday at the funeral home.